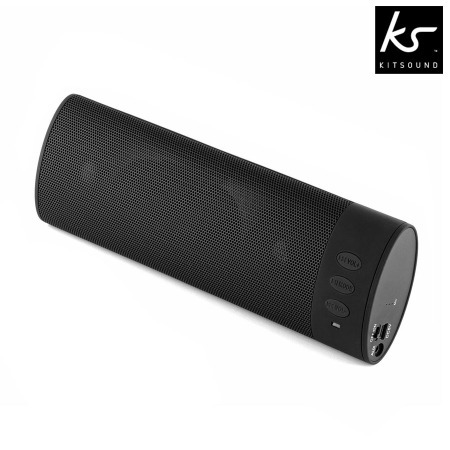 This portable Bluetooth speaker from KitSound delivers a beautifully rich sound, perfect to enjoy your music to the full. 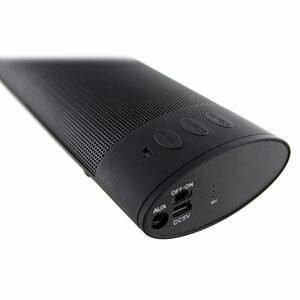 Small portable Bluetooth Speaker which gives a big sound. 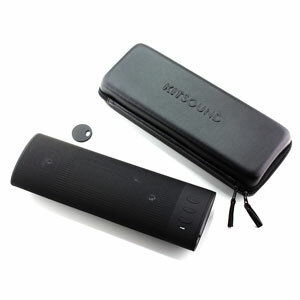 Carry case holds everything, solidly built and easy to set up. Built-in battery is charged via computer. Listen up to 20 hours and didn't lose its connection when moving from room to room. Just cannot fault it. Small but powerful and handy for taking on a holiday. I bought this for my 11 year old son for Xmas & it was the perfect gift, he had music playing remotely all day from his iPod. It is compact but quite powerful & will be great in his room. Even my husband liked it, making Xmas phone calls via it using his iPhone. 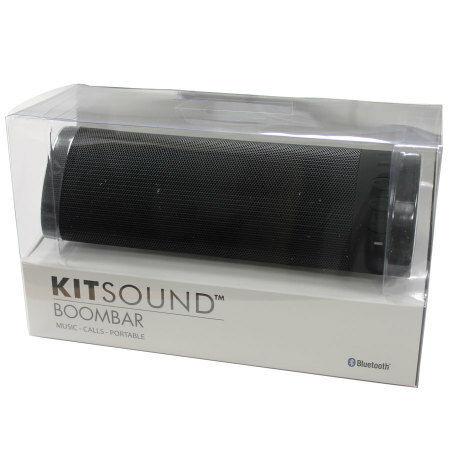 The BoomBar is Bluetooth enabled, so the pairing process is incredibly simple, connecting to your device wirelessly. 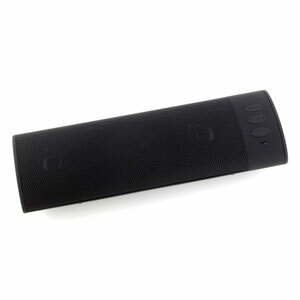 It supports any bluetooth music device and you only have to turn the speaker on, and search for it using your device. 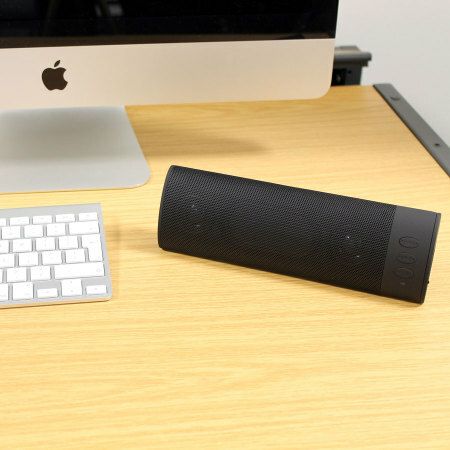 However, this sound system also includes a standard 3.5mm jack to allow you to connect devices without bluetooth such as iPods, Laptops and MP3 players. 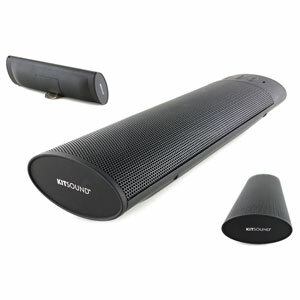 Despite the small size of the KitSound BoomBar, its passive radiator extends the bass response of the two existing full-range drivers, providing you with the most impressive sound, whatever genre of music you enjoy listening to. 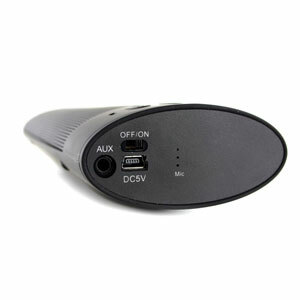 The built-in microphone on the Speaker acts as a speakerphone. 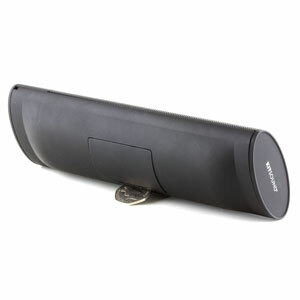 With this, and the hands-free calling button, you can take calls easily without even picking up your phone. Fully loaded with a 1000mAh rechargeable lithium battery provides you with up to 10 hours of play time, so you can enjoy your music all day. With a charge time of just 3 hours, you can be back listening to your music in no time! You can either lay your BoomBar flat, giving great all round sound, or you can position it at an angle to give a more directional sound. 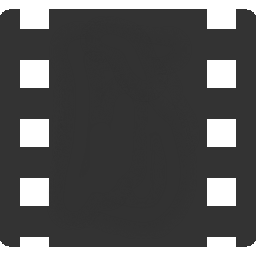 Aesthetically pleasing with it's soft-touch, black finish, it will fit in with any décor. 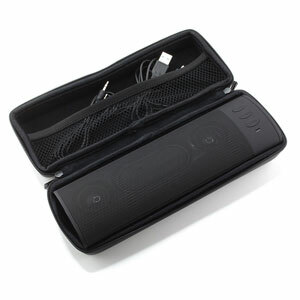 It is also provided with a carry case complete with pockets for the cables, to make it ultra portable and convenient for you. 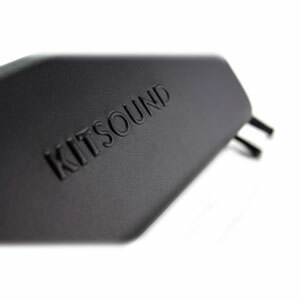 What's more, you can clearly see the KitSound logo on the device, assuring you of its high quality and prestige.